Few ingredients are as reminiscent of the onset of autumn as the humble plum. Sweet and mellow, plums come into season at the start of August and are abundant right until the end of October. 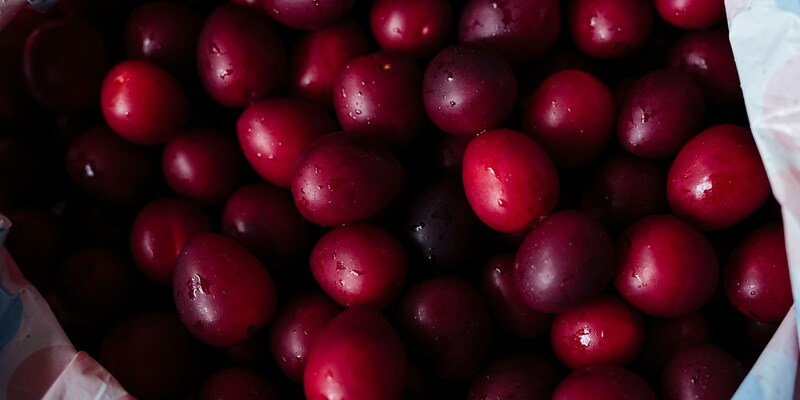 Perhaps for reason, they are an excellent fruit for preserving, with plum chutney a firm favourite on the winter table. Karen Burns-Booth creates a heavenly plum jam recipe from the Mirabelle variety – a beautiful golden plum that is great for preserving. This collection reflects the many ways in which this delightful stone fruit can be put to good use. Dominic Chapman’s plum tart recipe is a deceptively simple dessert, laying layers of plum on crisp puff pastry and a layer of sweet frangipane – the perfect dinner party dessert. Stephen Crane’s plum clafoutis recipe is another delightful dessert, warming and comforting enough for the onset of autumn.